An archaeological team from the North Carolina Underwater Archaeology Branch will spend eight weeks excavating the Queen Anne’s Revenge, the flagship of famous pirate Blackbeard. The vessel was discovered in 1996 near Beaufort, NC and several excavations have been conducted by the state’s Underwater Archaeology Branch over the past few years. Numerous cannons, the ship’s anchor and approximately 16,000 artifacts have been recovered thus far. A permanent exhibit at the Beaufort branch of NC’s Maritime Museum opened in June 2011 to display the artifacts and educate visitors about the life of a pirate. 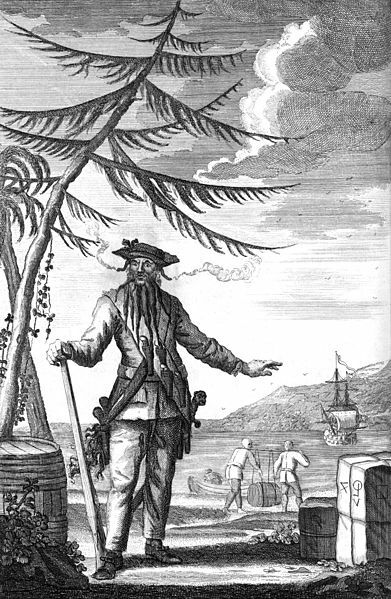 Blackbeard’s name has become synonymous with 18th century piracy even though his career lasted a mere two years before he was killed in 1718 during a fight with Royal Navy forces near Ocracoke, North Carolina. The Queen Anne’s Revenge is only the second pirate ship to be discovered and excavated, with the other being the Whydah off the Massachusetts coast.